On Wednesday evening, the members of GMFC had their weekly training night. 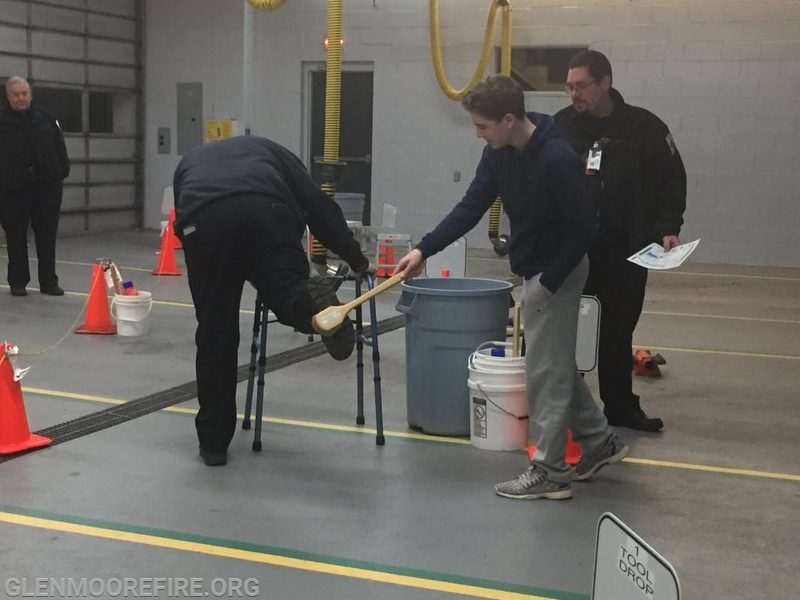 This week's topic focused on Hazardous Materials. 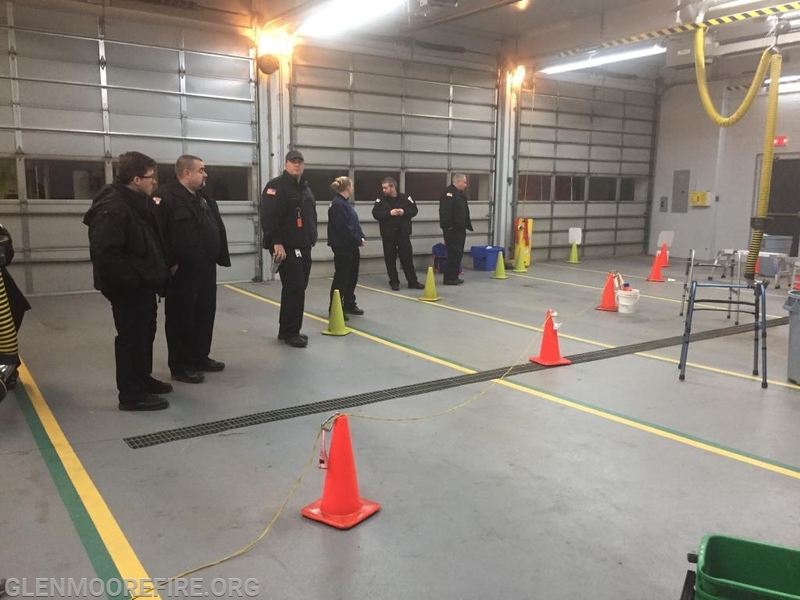 Each firefighter needs to attend an annual refresher on Hazardous Materials at the Operations level. 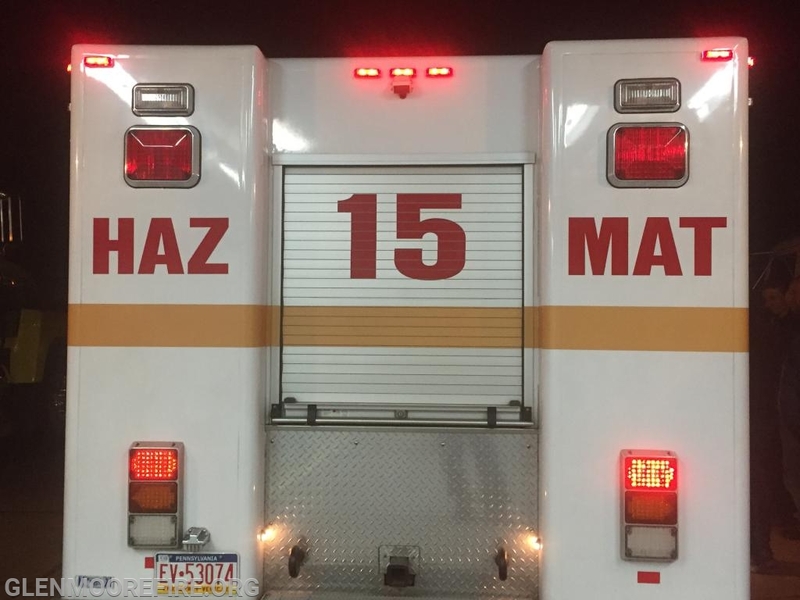 This allows firefighters to respond to Haz Mat calls and assist with managing and mitigating the incident. Jim Kettler from Bucks County Community College provided the classroom instruction this evening. 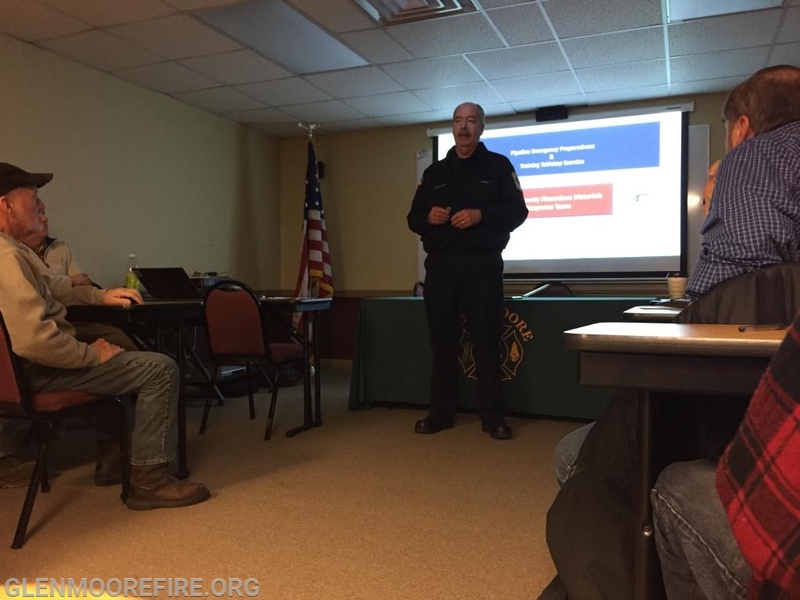 Jim has presented on this topic in the past at GMFC. 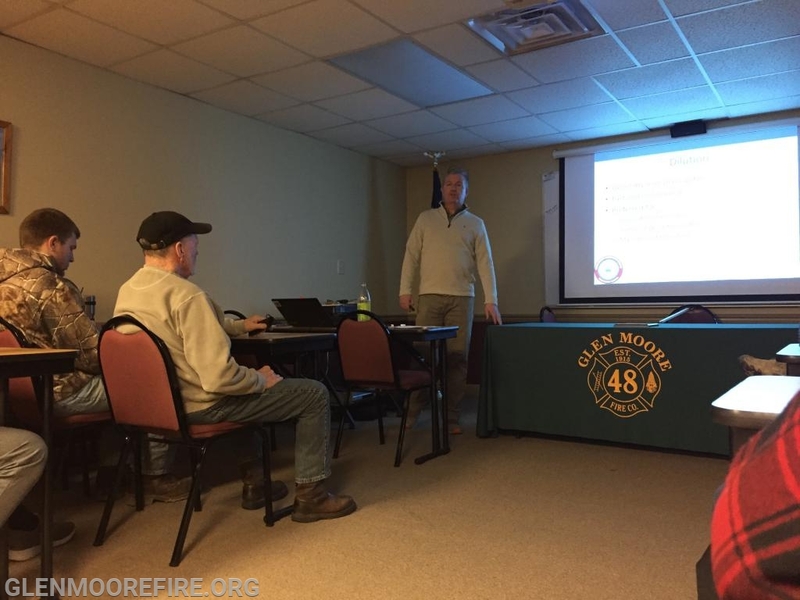 In addition to being an instructor, Jim is a Fire Marshal in Buckingham Township, Bucks County and former chief of the Bucks County Hazardous Incident Response Team. 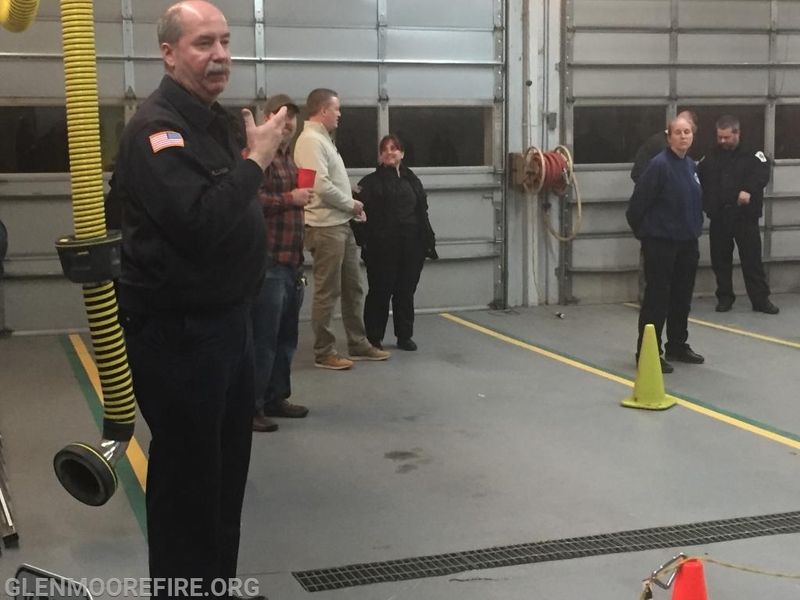 After Jim's presentation, Frank J. Sullivan, Chief of the Chester County Hazardous Materials Response Team (Station 15), spoke about the team and its members. 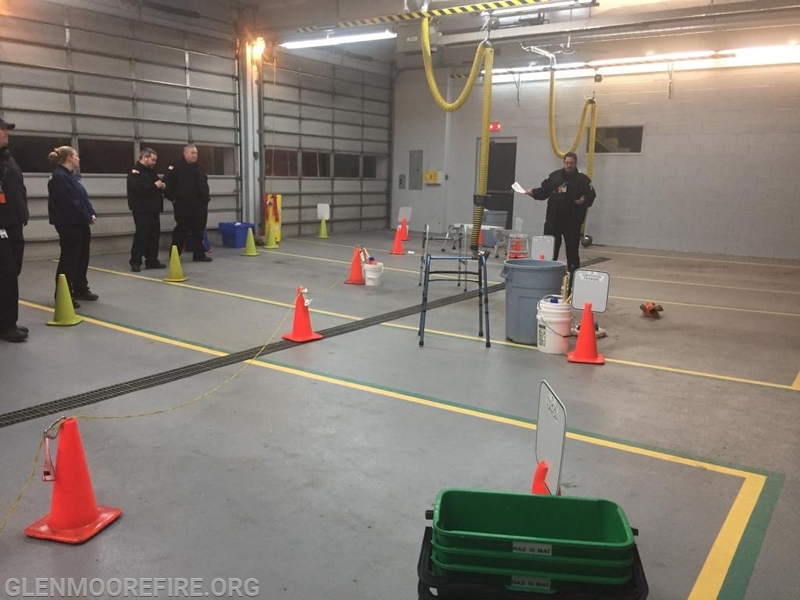 The Haz Mat then set up a decontamination line and demonstrated how to move through the line and what roles the firefighters from GMFC would take on during this process. Part 2 of the training will take place next week. 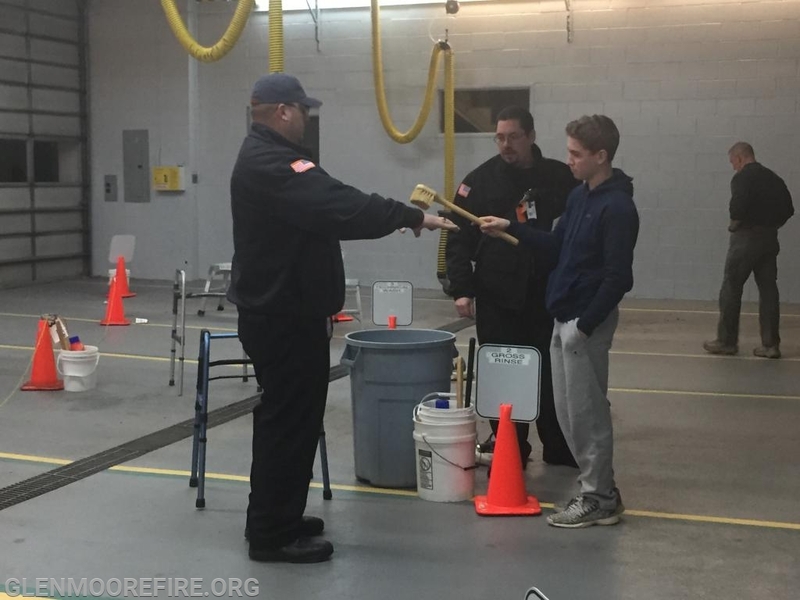 As a side note, GMFC Firefighter Ethan Matlack was recently welcomed to the Haz Mat team. He is the youngest member of the team. Congratulations Ethan and thank you for representing GMFC with great pride. Jim Kettler giving his presentation. Frank J. Sullivan, Chief of the Chester County Haz Mat Team, presenting about the team. 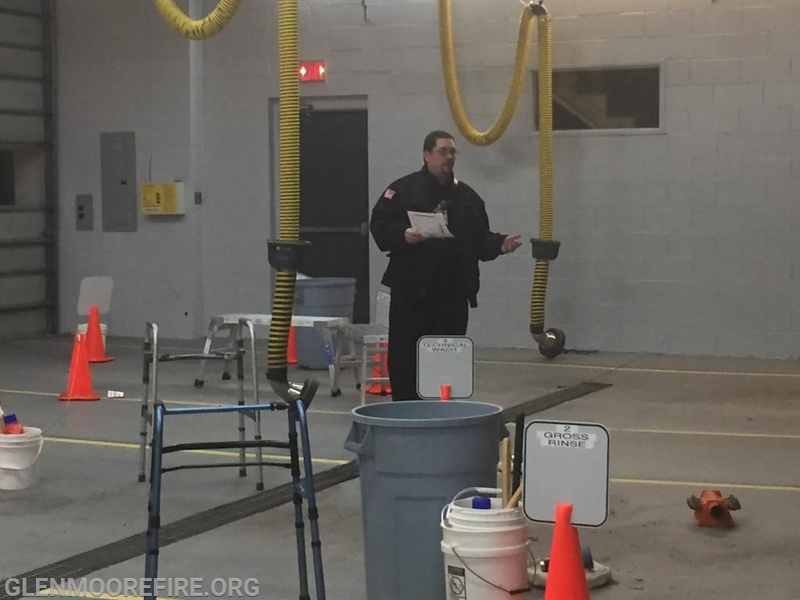 Chief Sullivan reviewing the decontamination line.